Fractured and dislocated elbow. 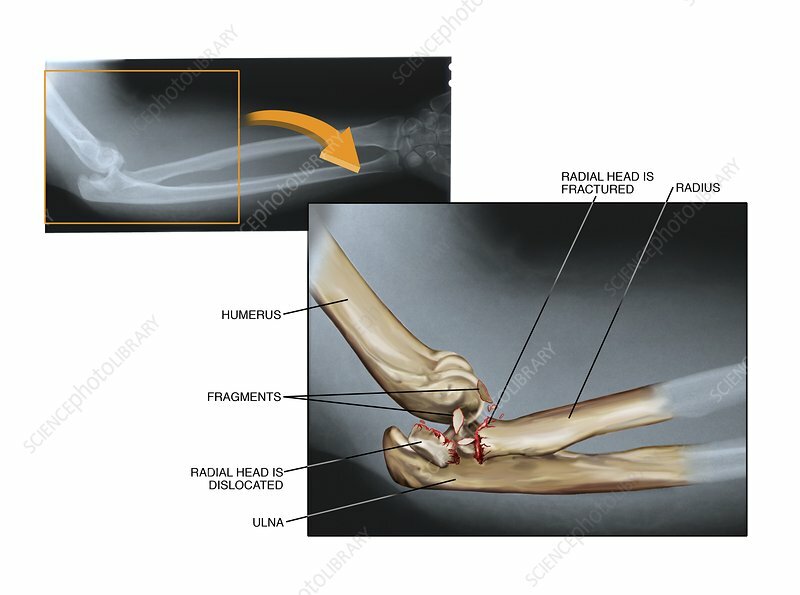 Labelled artwork and corresponding X-ray of a fracture and dislocation of the proximal (elbow) end of the radius in a patient's right arm. The artwork shows the dislocation and fracturing of the head of the radius. Surgery will be needed to fix the radius bone and its fragments in their correct alignment to allow them to heal. This is usually done by implanting metal plates fixed with screws, though for more complicated fractures, wires, pins and rods are also used.